The Walking Dead, a show as reliant on character deaths for drama as it is for zombies, is not above giving the audience a little tease. And according to Robert Kirkman, a big tease isn’t out of the question, either. Kirkman, who writes The Walking Dead comic as well as working as a producer on the TV adaptation, talked to fans at a panel recently and suggested the possibility that Carl, who got bit by a zombie recently, might not be quite as dead as he appears. There are two ways to take this comment. As a means of placing doubt in the minds of his audience, just in case the show does end up pulling some wacky plot maneuvers to somehow keep Carl Grimes alive. Or, this is just plausible deniability, and that boy is as good as dead. It seems uncertainty is the name of the game. We’ll start getting some answers on February 25, when The Walking Dead returns from mid-season hiatus to begin concluding its eighth season. 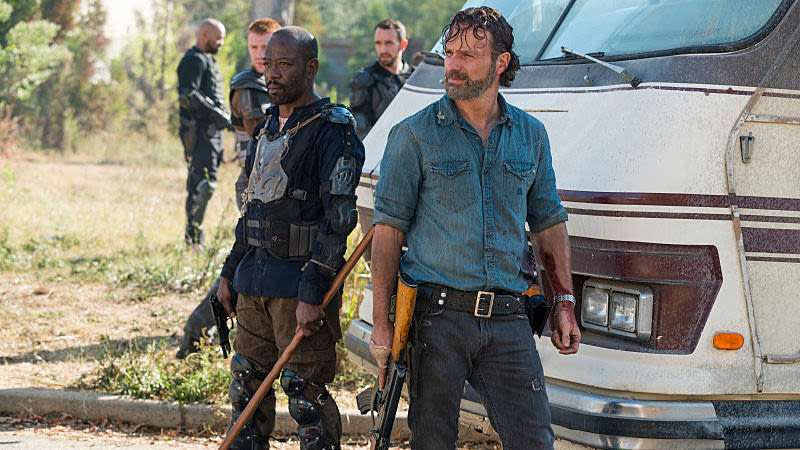 Open Channel: What Is Your Dream Walking Dead Crossover?